Situated on the banks of the Dordogne River, the town of Beaulieu-Sur-Dordogne knows nothing of modesty as its name literally means 'beautiful'. The village does, however, have good reason for this. Its small, romanesque Abbey is widely seen as one of the best examples of such architecture around, while many of the riverfront houses have glorious facades from the 17th and 18th Century. Added to this, the village is superbly situated, provoking those with a passion for the outdoors to fall in love with it, including Channel 4's 'A Place in the Sun', which gave it a glowing review. The charming Abbatiale St-Pierre is an impressive gem for a community of just 1,300 people. In the past, pilgrims, journeying to the Spanish landmark Santiago de Compostela, would rest and pray here. History explains how St-Pierre's shocking apocalyptic sculptures, frightened such pilgrims. Other carvings of interest include a triumphant Jesus, fighting off the threat of monsters from hellish depths as they devour those left on earth. Further down the Dordogne you'll discover the Chapelle des Penitents, beaming it's elegant reflection into the Dordogne waters surrounding it. The 12th Century building is fully restored and currently serves as a museum of local history. If you love strawberries, you will experience heaven in May with the annual Strawberry Festival taking place. They'll be plenty of games and competitions to pass your time and you'll also be able to delve into an unimaginable array of strawberry products. Don't eat too many though, as you'll need some room in your stomach for the main event of the day, which is an attempt to build a somewhat spacious strawberry tart. Once completed everyone is free to tuck in. The nearest airport is Brive Vallée de la Dordogne, found south of Brive la Gaillarde, which has regular flights to and from the UK. If you're not a keen flyer then you can just hop on a train and rely on the fast and efficient TGV network and local trains to take you to Bretenoux Biars. This is the closest train station, which is approximately six kilometres away. A car though is almost a necessity in this part of France. So if you don't drive down and thus have one at your disposal, it may be worth considering keeping a car in France if you have a holiday property here, or be prepared to hire one for the duration of your stay. Property prices in the area are affordable and represent great value for money, although they are rising with the increase in attention they are receiving from the international press. Do you know Beaulieu Sur Dordogne better than we do? Do you have photos of Beaulieu Sur Dordogne? WHERE IS Beaulieu Sur Dordogne? To be found in the south of the Correze department in the Limousin. Access: Nearby Brive la Gaillarde has both an airport and railway station. The nearest railway station though is at Bretenoux Biars, which means a change of train at Brive. 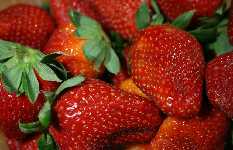 Economy: Traditional rural practises still dominate, in particular the cultivation of strawberries. Interesting fact: The town developed as a stopping off point on the pilgrims' route to Compestela.